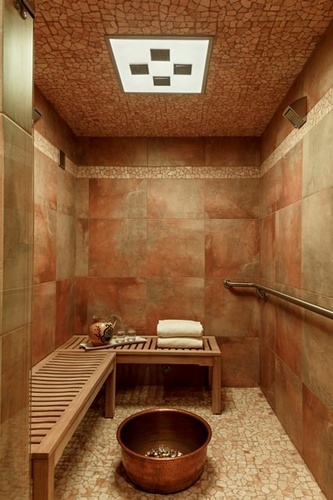 For a relaxing weekend get-a-way there is no better place than the Hallmark Resort in Cannon Beach. 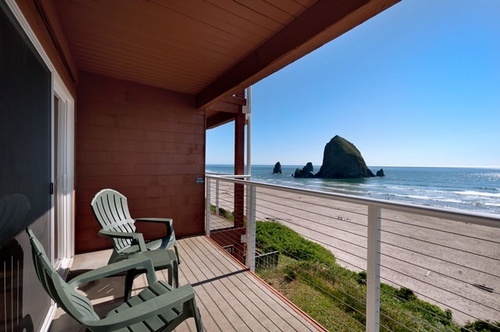 As the closest resort to Haystack Rock, the Hallmark Resort is premium lodging at its finest, offering guests spectacular views of one of the most beautiful spots along the Oregon Coast, as well as a family and pet-friendly atmosphere in which to relax, unwind and enjoy the ocean breezes. With 142 rooms and more than 23 different room styles, as well as 4 rental houses and 2 conference rooms, there is something for everyone. If you are looking for romance, try our Oceanfront Spa Room, with hammered copper gas fireplace, in-room 2-person 10-jetted spa tub, crafted tile and glass 2-person shower with dual heads and controls, luxurious pillow-top king bed, 42 inch plasma TV, DVD player, snack size refrigerator, and microwave. Or choose from one of our family-friendly guestrooms and suites, with various options including full kitchens, cozy gas fireplaces and walk-out balconies. For larger gatherings we offer a choice of 4 Oceanfront beach houses accommodating from 6 to 10 people. The Resort also offers 2 indoor swimming pools including a kiddie pool, a sauna and 3 hot tubs as well as our special oceanview massage. Hotel amenities include televisions with DVD or VCR, walk-out balconies, delivery of the morning newspaper, LodgeNet Pay-Per-View movies, complimentary high-speed Internet access and in-room coffee.